Dr Streiff’s research focuses on the prevention and treatment of venous thromboembolism (VTE) and evidence-based management of anticoagulation. He chairs the Venous Thromboembolism Guideline Committee for the National Comprehensive Cancer Center Network and has served on several international consensus panels to develop evidence-based guidelines for the management of VTE. 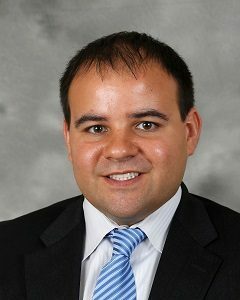 As a member of the Johns Hopkins VTE Collaborative he spearheaded efforts to develop evidence-based specialty-specific VTE Prophylaxis computer decision support “smart order sets” that have led to dramatic improvements in VTE prophylaxis across Johns Hopkins Medicine. Dr. Streiff and the Anticoagulation Management Service team have played a key role in developing evidence-based guidelines and electronic order sets for anticoagulation therapy at Johns Hopkins Medical Institutions. He has published over 100 articles and book chapters focusing on topics in VTE management and thrombosis and hemostasis and delivered over 250 lectures at local, national and international meetings. Alpesh Amin, MD, MBA, MACP, SFHM, FACC, is with the University of California–Irvine (UCI) in the capacity of the Tom and Mary Cesario Chairman, Department of Medicine. He is Professor of Medicine, Business, Public Health, Nursing, and Biomedical Engineering at UC Irvine. He is also founder and executive director of the Hospitalist Program. Dr. Amin has served as Vice Chair for Clinical Affairs and Quality for 12 years, Chief of the Division of General Internal Medicine for 6 years, Associate Program Director of the Internal Medicine Residency Program for 14 years, and Medicine Clerkship Director for 14 years. Dr. Amin obtained his MD degree at Northwestern University Medical School, Chicago, Illinois, and later he completed his internship and his residencies in internal medicine, including a chief residency, at UCI. Also at UCI, he earned a healthcare MBA. Dr. Amin is the first Hospitalist to be named Chief of a Division of GIM, and then subsequently the first Hospitalist to be named Chairman of a Department of Medicine nationally. Throughout his career, Dr. Amin has been innovative in clinical, quality and educational program development. He has advised the Hamad Medical Corporation in Doha, Qatar on Quality Improvement efforts across 8 hospitals under the national health ministry council. He has developed processes to improve patient care delivery looking at ways to reduce readmission and avoidable admissions, as well as improvements in length of stay, mortality and customer service. Dr. Amin is an expert in implementation science and measuring outcomes to improve sustainable long lasting results. He has also applied information technology to improve the delivery of care through development of projects such as NHCPlus, eConsults, Apps for Safe Anticoagulation Use, and others. During the course of his career, Dr. Amin has served as principal investigator, co-investigator, and faculty sponsor on clinical trials and research projects focusing on clinical topics such as VTE, pneumonia, and heart failure. His research interest is in health outcomes related to patient safety & quality improvement and medical education. He is a member of professional organizations as the Society of Hospital Medicine, the American College of Physicians, the Society of General Internal Medicine, Academic Chiefs and Leaders of General Internal Medicine, Academic Alliance of Internal Medicine, and Association of Professors of Medicine. Dr. Amin has authored or co-authored over 170 peer-reviewed articles. He is the co-editor/co-author of the Core Competencies for Hospital Medicine by SHM. He served as Chair of SHM’s Education Committee for 4 years, the 2006 SHM Annual Meeting Course Director, and was on the SHM’s Board of Directors. Dr. Amin was Associate Editor of Hospital Medicine Secrets. Dr. Amin is also co-editor of the book Contemporary Hospitalist Guide to Anticoagulation. 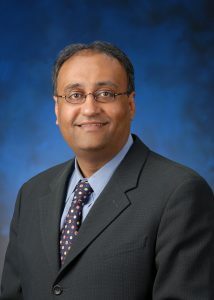 Among Dr. Amin’s numerous awards and honors include the American College of Physicians Special Recognition Award, a Masters of the ACP, a Senior Fellow of SHM, named as one of “America’s Top Physicians” by the Consumers’ Research Council of America, Orange County Physician of Excellence Award, ACP’s Top 10 Hospitalist Award, and Fellow of ACC. Dr. Amin is also the recipient of the Alfred Soffer Award from the ACCP, the Venous Research Award for Quality Improvement and Implementation of Best Practices from the Venous Disease Coalition (VDC)/Vascular Disease Foundation (VDF), Exceptional Leadership Award by ALCGIM, CDC’s HA-VTE Prevention Champion, and HMC’s Stars of Excellence Award. He founded and directs the UCI Anticoagulation Clinic which is recognized nationally as an AC Forum Center of Excellence. Nathan J. Alves, PhD, is an Assistant Professor at the Indiana University School of Medicine (IUSM), in the Department of Emergency Medicine. He also holds secondary appointments in the Department of Biochemistry at IUSM and in the Biomedical Engineering Department at Purdue University. The research Dr. Alves has conducted, while spanning many disciplines, is centered on the development of translational technologies, treatments and techniques that can be utilized to have a positive impact on people’s lives. After graduating from the University of Notre Dame with a PhD in chemical and biomolecular engineering, he took on a brief post doc at IUSM, under Dr. Jeffrey Kline, conducting research in the area of blood coagulation and fibrinolysis. Dr. Alves then successfully competed for a research associateship through the National Academy of Science to conduct research at the Naval Research Laboratory (NRL) in Washington, DC. While at NRL he was offered a faculty position at IUSM in the Emergency Medicine Department and jumped at the opportunity to be the first non-physician, tenure-track faculty member in the department conducting translational research. While at IUSM, his primary area of research is implementing novel methods of improving medical treatments by utilizing multivalent binding principles in conjunction with many nanoparticle drug delivery formulations. Most notably Dr. Alves is the co-founder and President of Indiana Lysis Technologies LLC, a startup company spun out from research at IUSM in utilizing nanoparticles to deliver clot digesting proteins for the treatment of pulmonary embolism. His multidisciplinary background affords him a unique perspective on problem solving that has resulted in the development of numerous publications and patent pending technologies that support his mission of conducting relevant research to ultimately help people. Dr. Jack Ansell is former Chair of Medicine, Lenox Hill Hospital and is a Professor of Medicine at Hofstra-NorthShore/LIJ School of Medicine. He is a clinical investigator with a principal focus on the clinical problems of thrombosis, antithrombotic therapy, and the application of new modes of delivering and monitoring anticoagulants. Prior to his position in New York, Dr. Ansell was a Professor of Medicine and Vice Chairman of the Department of Medicine at Boston University School of Medicine. Dr. Ansell has helped to identify and provide an understanding of the problems related to the management of warfarin therapy and was one of the first investigators to identify and show that patients can manage their own therapy through home monitoring. He has been a leader in the promotion of high quality anticoagulation management through the development of anticoagulation clinics and was founder and president for over 15 years of the Anticoagulation Forum, which has grown into a 6,000 member organization representing over 2,000 anticoagulation clinics and interfacing with over ¾ of a million patients. Dr. Ansell has authored more than 180 peer reviewed manuscripts and a number of texts and textbook chapters. He has been the lead author for over 10 years of the major consensus guidelines for antithrombotic therapy through the American College of Chest Physicians Consensus Conference on Antithrombotic Therapy, and is lead editor of a one-of-a-kind textbook entitled Managing Oral Anticoagulation: Clinical and Operational Guidelines. Dr. Ansell has also held a leadership position in the National Blood Clot Alliance, a patient advocacy group, as past Chair of the Medical and Scientific Advisory Board. Dr. Ansell received his medical degree from the University Of Virginia School Of Medicine and completed his medical residency at Tufts-New England Medical Center in Boston, followed by a fellowship in Hematology at Boston University and the Boston’s Veterans Administration Hospital. Dr. Berkman has been Clinical Professor of Medicine in the Division of Hematology-Oncology at UCLA since 1991. He is a graduate of Tufts Medical School and completed his hematology fellowship at UCLA and his medical oncology training at the National Institutes of Health. 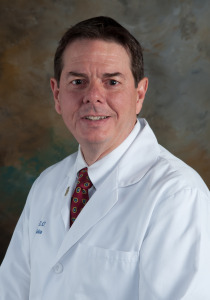 He is board certified in internal medicine, hematology, and medical oncology. He has consulted on thrombosis cases at UCLA and Cedars-Sinai since 1985, and was recognized six consecutive years as the outstanding teacher in the UCLA Department of Medicine by the medical house staff. He has published many articles about thrombosis and is a regular contributor to the McMaster University evidence-based newsletter. Dr. Berkman is a frequent speaker on thrombosis at hospitals in Southern California, and has been a reviewer for Clinical and Applied Hemostasis/Thrombosis and the Annals of Internal Medicine. 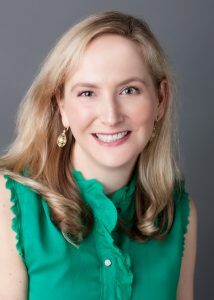 Dr. Carrie Eichberg is a graduate of Tufts University and California School of Professional Psychology. She is a licensed psychologist with more than 15 years of experience in private practice specializing in health psychology. She currently lives in Boise, Idaho. Dr. Eichberg has a particular interest in the impact of thrombophilia on pregnancy. She specializes in reproductive psychology and counsels clients on a variety of reproductive issues, including: infertility, donor conception, gestational surrogacy, post-partum depression, miscarriage, and grief and loss. Dr. Eichberg conducts psychological evaluations for reproductive centers, donor agencies, and surrogacy agencies. She is a frequent speaker at national conferences on third party reproduction. Dr. Eichberg’s interest in the psychological impact of thrombosis grew out of her personal experiences with multiple DVTs. Dr. Eichberg also works with clients with a variety of health related issues including cancer, heart disease and chronic illness. She is a member of the American Society of Reproductive Medicine, the Idaho Psychological Association and the American Psychological Association. She is a credentialed National Health Service Provider in Psychology and holds the Certificate of Professional Qualification in Psychology. 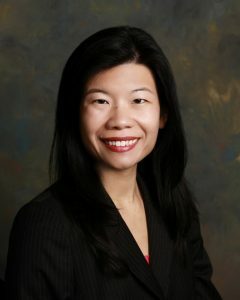 Margaret C. Fang, MD, MPH, is an Associate Professor of Medicine in the Division of Hospital Medicine at the University of California, San Francisco. She serves as the Medical Director of the UCSF Anticoagulation Clinic, the Research Director for the UCSF Division of Hospital Medicine, and Director of the UCSF Academic Hospital Medicine Fellowship, and is a Senior Deputy Editor for the Journal of Hospital Medicine. As a clinician-investigator, her research program focuses on optimizing the use of anticoagulant therapies for the prevention and treatment of thromboembolism. She has published widely in this area, including on the use of anticoagulants for atrial fibrillation and venous thromboembolism, risk prediction models for stroke and hemorrhage, and on the epidemiology and outcomes of stroke and thrombosis. Dr. David Garcia is Professor of Medicine in the Division of Hematology at the University of Washington. Dr. Garcia is the President of the Anticoagulation Forum, a national interest group focused on the prevention and treatment of thromboembolic disease. His primary research interests include the relationship of cancer and thrombosis, the treatment of warfarin-associated coagulopathy, and the risks and benefits of peri-procedural anticoagulation. 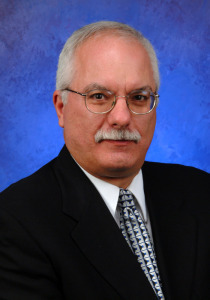 Dr. Garcia has been an invited speaker at several international meetings and has authored or co-authored more than 30 peer-reviewed publications in high-impact journals such as Blood, Annals of Internal Medicine, Archives of Internal Medicine, Chest, Thrombosis and Thrombolysis, the British Journal of Hematology and the Journal of the American College of Cardiology. Dr. Goldenberg is Director of Research at Johns Hopkins All Children’s Hospital (JHACH, St. Petersburg, FL) and oversees the bi-campus Johns Hopkins Pediatric Thrombosis Program at JHACH in Florida and the Johns Hopkins Bloomberg Children’s Center in Maryland. He also directs the Pediatric Stroke Program at JHACH. Dr. Goldenberg holds a Ph.D. in Clinical Investigation from the University of Colorado. He earned his undergraduate degree from Williams College (Willamstown, Massachusetts, USA) in 1993 and his medical degree from McGill University (Montreal, Quebec, Canada) in 1998, and then completed a combined residency in Internal Medicine and Pediatrics at the University of South Florida (Tampa, Florida, USA), followed by a fellowship in hematology/oncology/bone marrow transplantation at the University of Colorado (Denver/Aurora, Colorado, USA). 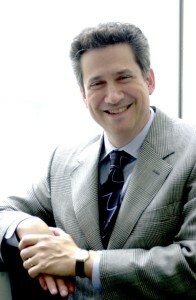 Dr. Goldenberg is the Overall Principal Investigator of the Kids-DOTT trial, a multinational randomized controlled trial on duration of anticoagulation for venous thromboembolism (VTE) in patients less than 21 years of age, funded by U01 grants from the National Institutes of Health (NIH), National Heart Lung and Blood Institute. He is a former American Society of Hematology (ASH) Scholar and faculty member of the ASH Clinical Research Training Institute. He also chairs, or has recently chaired, Steering Committees and Data and Safety Monitoring Committees for several industry-sponsored multicenter clinical trials in pediatric venous and arterial thromboembolism treatment and prevention. He was also a recent co-chair of the Pediatric and Neonatal Subcommittee of International Society on Thrombosis and Haemostasis (ISTH) Scientific and Standardization Committee, leading the Subcommittee’s Work Groups on VTE prevention, arterial thromboembolism, and pulmonary embolism. 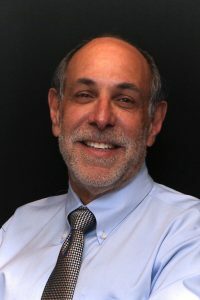 Dr. Goldenberg’s work has been published as first- or senior-authored original research reports in the New England Journal of Medicine, Annals of Internal Medicine, Pediatrics, Journal of Pediatrics, Stroke, Blood, Journal of Thrombosis and Haemostasis, Lancet Neurology, Thrombosis and Haemostasis, Thrombosis Research, and others. 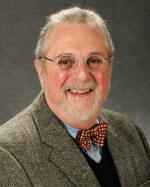 In addition to original research, review articles, book chapters, and edited textbooks, he has co-authored numerous international guidelines and scientific statements in VTE treatment and prevention, clinical research, and antithrombotic management, and has given CDC-sponsored webinars on venous thromboembolism in children and young adults. He mentors numerous junior faculty and trainees in pediatric clinical and translational research at Hopkins, as well as several junior faculty working in the pediatric VTE field at other institutions. Scott Kaatz is a Clinical Professor of Medicine at Wayne State University in Detroit and also a Hospitalist at Henry Ford Hospital. He attended medical school at Michigan State University and completed his residency in internal medicine at Henry Ford Hospital. Later in his career, he earned his Master’s degree in Evidence-Based Health Care from Oxford University. He has a long standing research interest in anticoagulation and thromboembolic disease and was the Medical Director of the Anticoagulation Clinics for the Henry Ford Health System in Detroit, MI for 15 years. Dr. Kaatz is a fellow of American College of Physicians and the Society of Hospital Medicine, as well as a member of the Society for General Internal Medicine, International Society of Thrombosis and Heamostasis and the American Medical Association. He serves on the boards of the Anticoagulation Forum, Thrombosis and Hemostasis Societies of North America, National Certification Board of Anticoagulation Providers, Medical & Scientific Advisory Board of the National Blood Clot Alliance. He has participated in many research studies with an emphasis on anticoagulation, atrial fibrillation, peri-procedural anticoagulation and venous thromboembolism prevention, diagnosis and treatment; and has published numerous abstracts, articles and book chapters in this field. Dr. Khorana’s clinical and translational research program focuses on predictive factors and drug development in gastrointestinal cancers and cancer-associated thrombosis and has been funded by grants from the National Cancer Institute, the National Heart, Lung, and Blood Institute, the Porter Family Fund, the Scott Hamilton CARES Initiative and the V Foundation. Dr. Khorana received his medical degree from Maharaja Sayajirao University’s Medical College in Baroda (Gujarat), India. His postdoctoral training included a residency in internal medicine at the University at Buffalo in New York and a fellowship in hematology/oncology at the University of Rochester, New York. He is a Fellow of the American College of Physicians. Dr. Khorana is Chair of the American Society of Clinical Oncology (ASCO) Clinical Practice Guidelines Panel (CPGC), Chair of ASCO CPGC’s Pancreas Cancer Working Group and Co-Chair of the ASCO Guidelines Panel on Resectable Pancreas Cancer. He also serves on the ASCO Scientific Program Committee and multiple ASCO Guidelines Panels. He is past Chair of the International Society on Thrombosis and Haemostasis Scientific Subcommittee on Hemostasis and Malignancy He has previously served as a member of the US Pharmacopoeia Oncology Expert Committee. Dr. Khorana has been published in a variety of journals including New England Journal of Medicine, Journal of American Medical Association (JAMA), Journal of Clinical Oncology, Blood, Journal of the National Cancer Institute, Clinical Cancer Research, PLoS One, and JAMA Internal Medicine. He has co-authored chapters in multiple textbooks including Cecil Essentials of Medicine and DeVita’s Cancer: Principles and Practice of Oncology. He is co-editor of the book Cancer-Associated Thrombosis: New Findings in Translational Science, Prevention and Treatment (Informa, 2007). Dr. Khorana’s fiction and creative nonfiction works have been published in the Bellevue Literary Review, Annals of Internal Medicine and Health Affairs and selected for Best American Medical Writing (Kaplan, 2009). Dr. Kline is the Vice Chair of Research at the Department of Emergency Medicine an emergency physician at the Indiana University School of Medicine who conducts clinical and translational research to improve the therapeutic index of the diagnostic evaluation of patients with possible venous thromboembolism and treatment of patients with proven venous thromboembolism. Dr. Kline’s research focuses on screening, risk stratifying and treating pulmonary embolism (PE). He has built and patented a device to help diagnose or exclude PE based upon instant analysis of exhaled partial pressures of CO2 and O2. Dr. Kline received his medical doctorate from the Medical College of Virginia in 1990. He completed residency training in emergency medicine at the Carolinas Medical Center in 1993 and then a research fellowship in 1994. Over the years, Peter Kouides, MD, has served as principal investigator on a number of studies primarily dealing with the gynecological and obstetrical complications of von Willebrand Disease (VWD) as well as thrombotic disorders of pregnancy. Dr. Kouides is also co-chair of the Centers for Disease (CDC) Universal Data Collection (UDC) study of women with bleeding disorders. He serves on the CDC UDC working group and is past co-chair of the International Society of Thrombosis and Hemostasis Women’s Hemostasis and Thrombosis Issues committee. He recently completed a textbook of bleeding disorders in women co-edited with Professors Christine Lee and Rezan Kadir. In 2005, Dr. Kouides received a National Hemophilia Foundation (NHF) Award of excellence for work in Women with bleeding disorders and then in 2009 the NHF Physician of the Year award. 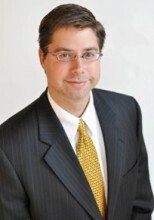 He was the 2010 recipient of the Rochester General Hospital Father Norton Physician of the Year award. Dr. Kouides is also an appointed recent past member of the NHF Medical and Scientific Advisory Committee and recent past member of the U.S. Health and Human Services Advisory Committee on Blood Safety and Availability. He is a member of the Medical Advisory Committee for the Foundation for Women and Girls with Blood Disorders. He is immediate past-president of the Hemophilia and Thrombosis Research Society (HTRS) of North America. He is chair of the New England Hemophilia Treatment Centers Executive committee. He was co-chair of the first biennial Thrombosis and Hemostasis Summit of North America (THSNA) in 2012 and is co-chair for the 2014 meeting. Dr. Kouides is co-editor of NHF’s HemeAware magazine and the journal Seminars in Hemostasis and Thrombosis. He serves on the editorial board of Haemophilia. Dr. Kouides is the medical director of the Mary M. Gooley Hemophilia Treatment Center since 1998 and is also the team leader for the Mary M. Gooley Hemophilia Treatment Center World Federation of Haemophilia Twinning Program with Bishkek, Kyrgyzstan in setting up a National Haemophilia program and Treatment Center with visits in 2009, 2011, and 2013. 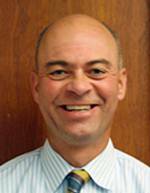 Dr. Maynard assumed a new role as Chief Quality Officer at UC Davis Medical Center in Sacramento, CA, in March, 2015. He was the Director of the Center for Innovation and Improvement Science, a practicing hospitalist, and former Hospital Medicine Division Chief at UC San Diego prior to his move to Sacramento, and also acted as CMO for the Society of Hospital Medicine (SHM). Dr. Maynard is a nationally recognized expert in hospital quality improvement, prevention of venous thromboembolism, inpatient glycemic control, prevention of adverse drug events, transitions of care, and constructing clinically important measurement systems. He accepted the 2011 National John M. Eisenberg Award from the NQF and TJC for Quality Improvement efforts on the behalf of SHM for the “Mentored Implementation” model of collaborative improvement he helped to design. 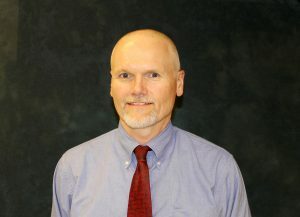 Dr. Maynard has been recognized as one of ACP Hospitalist‘s top hospitalists, a San Diego county “Top Doc,”and has been recognized nationally for his work in Quality Improvement/Research by the Society of Hospital Medicine, the National Association of Public Hospitals, the Venous Disease Coalition, and the North American Thrombosis Forum. 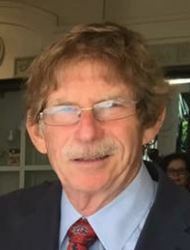 Gerald V. Naccarelli M.D. was born in Philadelphia, Pa, received his B.S. in Biology from St. Joseph’s University and his M.D. degree from the Pennsylvania State University College of Medicine in Hershey. He was an Internal Medicine Resident at the North Carolina Baptist Hospital/Bowman Gray School of Medicine (Wake Forest University). He was a Fellow in Cardiology and Chief Resident in Medicine at the Penn State University College of Medicine followed by a UPSHS postdoctoral Fellow in Cardiac Electrophysiology at the Indiana University School of Medicine. Prior to his current position at Hershey, he was Director of Clinical Electrophysiology and Vice-Chairman of Cardiology at the University of Texas Medical School at Houston. 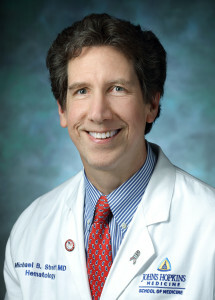 In 1995 he moved to Hershey and currently is the Bernard Trabin Chair in Cardiology, Professor of Medicine, Chief of the Division of Cardiology, and Associate Clinical Director of the Heart and Vascular Institute at the Pennsylvania State University College of Medicine/Milton S. Hershey Medical Center. Dr. Naccarelli had been a member of multiple national committees of the American Heart Association (AHA), American College of Cardiology (ACC) and the Heart Rhythm Society (HRS). He is past-president of NASPE (HRS) and a past-member of the Board of Trustees of the American College of Cardiology and HRS. He served on the ABIM Subspecialty Board on Cardiovascular Diseases from 1999-2005 and currently is the Chair of the ABIM Cardiovascular Diseases SEP Committee. He was a charter member of CMS’ Ambulatory Payment Classification (APC) advisory panel. He is an elected member of the Association of University Cardiologists (AUC) and member and Past-President of the Association of the Professors of Cardiology (APC). Dr. Naccarelli is internationally recognized for his clinical, teaching and research contributions. He has been listed in the best Doctors of America (Cardiovascular Diseases – Electrophysiology) since 1992 and America’s Top Doctors (Castle Connolly) since 2001. Dr. Naccarelli has trained 27 fellows in cardiac electrophysiology and over 125 fellows in Cardiology over his 31 years of clinical practice. Dr. Naccarelli’s research interests are in atrial fibrillation, clinical arrhythmia trials, implantable devices for treating arrhythmias and congestive heart failure, antiarrhythmic drug development and autonomic aspects of arrhythmogenesis. He has published over 550 peer review papers, book chapters, reviews and abstracts and is the author of 3 books. Dr Naccarelli has been involved in the clinical development and approval of all the antiarrhythmic agents released in the USA over the last 30 years. He has been an active consultant to over 25 companies in medical industry and is currently on the steering committee of 6 major clinical trials. He is a recipient of the Paul Dudley White Award from the American Heart Association and the Nycomed Amersham Award for Excellence Honoring Leadership, Achievement and Commitment to the Profession from the American College of Cardiovascular Administrators and the 2012 Clarence E. Shaffrey, S.J. Award, from St. Joseph’s University, in recognition of his service and outstanding achievement in the medical profession. He is currently on the editorial board of 8 scientific journals in addition to being Associate Editor of the Journal of Interventional Cardiac Electrophysiology and a past Associate editor of Circulation. Dr. Naccarelli and his wife, Terry, have a daughter, Michele, and a son, Matthew, both of whom work in Philadelphia. Outside of medicine, Dr. Naccarelli’s hobbies include golf, hockey card collecting, enology and playing the guitar. Edith A. Nutescu, Pharm.D., FCCP, is Clinical Professor in the Department of Pharmacy Practice and Center for Pharmacoeconomic Research at the University of Illinois at Chicago College of Pharmacy. She also serves as the Clinical Manager of the Antithrombosis Center at the University of Illinois at Chicago Medical Center. Dr. Nutescu earned her Pharm.D. degree with high honors at the University of Illinois at Chicago College of Pharmacy. After graduation, Dr Nutescu went on to complete an American Society of Health-System Pharmacists (ASHP)–accredited Pharmacy Practice Residency at Lutheran General Hospital–Advocate Health Care and a Primary Care Specialty Residency at the University of Illinois at Chicago Medical Center. As a clinician and educator, Dr. Nutescu has contributed extensively to the care of patients and the education of students and health care providers on topics related to cardiovascular therapeutics. Dr. Nutescu maintains an active clinical practice and research program. Her research and practice interests are in the areas of comparative effectiveness, health services and outcomes, with emphasis in cardiovascular diseases, stroke, thrombosis, and antithrombotic therapies. Dr Nutescu has authored or co-authored over 100 scientific articles, book chapters, and abstracts published in the science and medical literature and has served as a reviewer for the literature in her field. Dr. Nutescu’s research has been funded by the Department of Health and Human Services and the National Center for Research Resources and is a recipient of the Ruth L. Kirchstein National Research Service Award for 2009-2011. Dr. Nutescu is the recipient of the American College of Clinical Pharmacy’s 2009 Clinical Practice Award and the American Society of Health System Pharmacists, Section of Home and Ambulatory Care Practitioners 2010 Distinguished Service Award. Lynn B. Oertel, M.S. ANP-C, CACP, is a clinical nurse specialist with The Anticoagulation Management Service at Massachusetts General Hospital in Boston, Massachusetts. Massachusetts General Hospital has one of the largest and most experienced warfarin management clinics in the United States. Ms. Oertel received her Master of Science in Nursing degree from Boston University. She has additional certification from the American Nurse’s Credentialing Center as an adult nurse practitioner. Ms. Oertel is a certified anticoagulation care provider (CACP) and is nationally recognized as an expert nurse clinician in anticoagulation therapy management. She has nearly 25 years of clinical and research experience related to anticoagulant therapy management. Ms. Oertel is a founding member of the Board of Directors of the National Certification Board for Anticoagulation Providers, the only multidisciplinary national certification for anticoagulation care providers. She is currently a member of the Board of Directors of the Anticoagulation Forum and co-editor and chapter author of the third edition textbook Managing Oral Anticoagulation Therapy:Clinical and Operational Guidelines. Dr. Rickles received his MD degree from the University of Illinois and trained in internal medicine and hematology at the University of Rochester School of Medicine, Rochester, NY. He was Director of the Hemostasis and Thrombosis Research Laboratory at Walter Reed Army Institute of Research from 1971-1974, and was on the faculty of the University of Connecticut School of Medicine from 1974-93, where he was the American Red Cross Professor of Medicine and Laboratory Medicine and Chief, Hematology-Oncology. From 1993-1998, he was Deputy Chief, Hematologic Diseases at the Centers for Disease Control and Prevention, Professor of Medicine and Pediatrics at Emory University and Director of the Emory Hemophilia and Thrombosis Center, in Atlanta, GA. From 1998-2003, Dr. Rickles was Associate VP for Health Research at The George Washington University, where he remains on the faculty as Professor of Medicine, Pediatrics and Pharmacology and Physiology, and from 2003-2006, he was the CEO of FASEB. From 2006-2009, Dr. Rickles was a consultant to the Healthcare group of Noblis, a non-profit technology and science company working in the public interest. He has been a consultant to Eisai, Johnson & Johnson, Genmab, ISIS, Pharmacyclics and Iconic Therapeutics on the development of new drugs for the prevention and treatment of thrombosis and bleeding disorders. He is an Editor of the book Cancer and Thrombosis and the author of over 120 papers in refereed journals, 10 book chapters and 20 reviews in his areas of interest, including hemophilia, von Willebrand Disease, rare coagulation disorders and thrombosis in cancer. He continues to investigate the regulation of TF and Vascular Endothelial Growth Factor gene expression in cancer and has collaborated on the design of novel therapeutic agents that inhibit these pathways. He has been on the editorial board of Thrombosis and Haemostasis, Blood Coagulation and Fibrinolysis, Journal of Thrombosis and Hemostasis and Supportive Cancer Therapy. Dr. Rickles has served on study sections for the NIH, DoD, ACS and the AHA and was a founding Chairman of the Subcommittee on Coagulation and Malignancy for the ISTH and served on the Subcommittee of Vascular Biology and Thrombosis for the ASH. He has been a member of AACR, AAI, ASCO and AAAS and was VP for Medical and Scientific Affairs for the NHF and a founding member of the Hemophilia and Thrombophilia Research Society. Dr. Rosenberg is a fellowship trained vascular surgeon with a special interest in the management of venous disease. 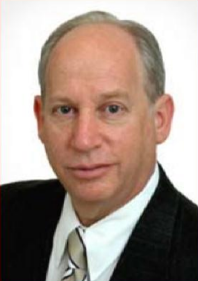 As a Fellow of the American College of Surgeons, a Diplomate of the American Board of Venous and Lymphatic Medicine, and a member of the American College of Phlebology, Dr. Rosenberg has been actively involved in venous education for many years. He has lectured nationally and internationally and been a primary investigator for FDA approved Phase 3 clinical trials on newer endovenous techniques for the management of venous insufficiency and varicose veins. Capitol Vein & Laser has recently opened the DVT Center where Dr. Rosenberg will be actively involved with the diagnosis and management of patients with both superficial and deep vein thrombosis. 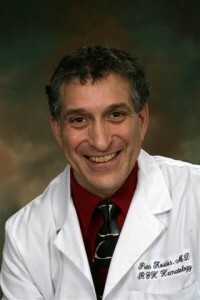 Prior to moving to Frederick, MD, in 2000, Dr. Rosenberg was an Assistant Clinical Professor of Surgery at the Temple University Medical School and was Section Chief of Vascular Surgery at Episcopal Hospital in Philadelphia, as well as director of the Diabetic Foot Center at Episcopal Hospital. Before focusing exclusively on the management of venous disease, Dr. Rosenberg was very actively involved with both open and percutaneous arterial interventions in the treatment of arterial thrombotic and embolic disease. Dr. Rosovksy is a hematologist at Massachusetts General Hospital (MGH) and an Instructor in Medicine at Harvard Medical School (HMS). She serves as the Director of Thrombosis Research for the Department of Hematology. She earned her undergraduate degree from the University of Pennsylvania, her medical degree from Harvard Medical School and her Master’s in Public Health from Harvard School of Public Health. She completed her residency at Brigham and Women’s Hospital and her fellowship at the Dana FarberCancer Institute. Dr. Rosovsky is on the Board of Directors of the National Pulmonary Embolism Response Team (PERT) Consortium and as part of this enterprise, she also serves as the Chair of the Education Committee. She is on the Executive Committee of MGH PERT and is the creator and director of MGH PERT multidisciplinary follow up clinic, the goals of which are to improve the care of patients with pulmonary embolism as they transition from inpatient to outpatient setting. She is also on the Executive Committee for VENUS (Venous thromboEmbolism Network US). 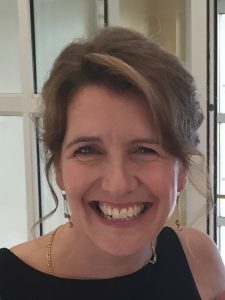 She has collaborated locally, nationally and internationally with prominent researchers on the risks, diagnosis and treatment of VTE, and she has published widely in this area. She is the recipient of the MIT IDEAS2 Global Challenge award for developing an affordable system to monitor anticoagulation in patients living in low income countries. Through lecturing, research, and written works, she has sought to improve the care of patients with VTE and advance the understanding and treatment of this medical condition. Naomi Tepp er, MD, MPH, FACOG is an Obstetrician/Gynecologist in the Division of Reproductive Health, Centers for Disease Control and Prevention, in Atlanta, Georgia. She practices clinical obstetrics and gynecology at Emory University School of Medicine, where she holds a position of Adjunct Associate Professor of Obstetrics and Gynecology. She is board certified in obstetrics and gynecology. She is also a Commander in the U.S. Public Health Service and a fellow of the American College of Obstetricians and Gynecologists. 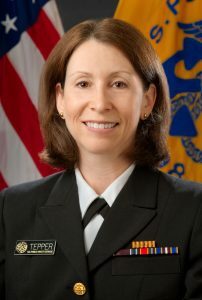 Dr. Tepper’s work at CDC encompasses a wide range of women’s health issues including contraceptive use, contraceptive safety, influenza in pregnancy, vaccine safety in pregnancy, and responses to global emergencies such as pandemic influenza, Ebola, and Zika. She has a particular interest in contraception and thrombosis risk, conducting research and writing guidelines in the area. She has co-authored over 70 articles or book chapters and given over 50 invited presentations. She has served on workgroups related to thrombosis and women’s health for several national and international organizations and agencies including FDA, NIH, ACOG and WHO. She currently serves as CDC’s liaison to ACOG’s Committee on Gynecologic Practice. Dr. Tepper graduated from Princeton University with a BA in Chemistry. She received her MD and MPH degrees from Yale University School of Medicine. She completed her residency in Obstetrics and Gynecology at Beth Israel-Deaconess Medical Center in Boston, Massachusetts. Prior to coming to CDC in 2007, Dr. Tepper worked as Assistant Professor of Obstetrics and Gynecology at the University of Virginia. 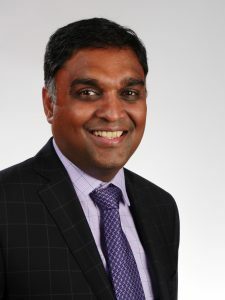 Dr. Vendantham is an experienced interventional radiologist who specializes in the delivery and investigation of image-guided therapies for venous thromboembolism. Dr. Vedantham is a leading clinical scientist in the field of thrombosis, having authored many clinical practice standards and primary research articles. As the national Principal Investigator of the NHLBI-sponsored ATTRACT Trial, Dr. Vedantham has a strong commitment to outcome-based care in venous disease. 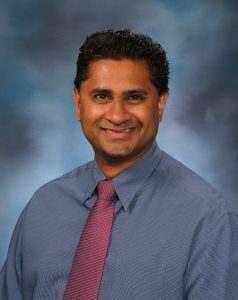 Dr. Vedantham is the President-Elect of the Society of Interventional Radiology, and will serve as its President in 2017-2018. He is also the Annual Meeting Chair for the American Venous Forum. Dr. Vedantham has served on the Boards of Directors for multidisciplinary organizations including the American Venous Forum, the American Board of Phlebology, and the Vascular Disease Foundation. Dr. Weitz is a Professor of Medicine and Biochemistry at McMaster University and Director of the Henderson Research Centre. Board certified in Internal Medicine, Hematology and Medical Oncology, Dr. Weitz now focuses his clinical work in the area of thrombosis. He holds an Endowed Chair in Cardiovascular Research at McMaster University, which is funded by the Heart and Stroke Foundation of Ontario. He also holds the Canada Research Chair (Tier 1) in Thrombosis. Dr. Weitz received the Medal in Medicine from the Royal College of Physicians and Surgeons of Canada in 1991, the Distinguished Scientist Award from the Heart and Stroke Foundation of Ontario in 1999, the Research Achievement Award from the Canadian Cardiovascular Society in 2006, and the Jack Hirsh Award for Outstanding Academic Achievement from McMaster University in 2008. He is a member of the American Federation of Medical Research, the American Society for Clinical Investigation, and the Association of American Physicians and gave the Davidson Lecture at the University of Edinburgh in 2000, the Nossel Memorial Lecture at Columbia University in New York in 2003, and the Mosesson Lecture at the Blood Research Institute in Milwaukee in 2008. Dr. Weitz directs a well-funded research laboratory that focuses on the biochemistry of blood coagulation and fibrinolysis as it applies to venous and arterial thrombosis. A former Vice-President of Research for the Heart and Stroke Foundation, member of the Board of Directors of the Heart and Stroke Foundation of Ontario, Chair of the Scientific Review Committee for the Heart and Stroke Foundation of Canada, member of the Executive Council on Thrombosis of the American Heart Foundation, and Chair of the Council on Vascular Biology for the American Society of Hematology, Dr. Weitz has published over 265 peer-reviewed papers and 35 textbook chapters. Diane L. Wirth MS ANP-BC CACP is a nurse practitioner with Provider Health Services which provides primary care to long term care and rehabilitation facilities. Ms. Wirth is recognized by her peers as an expert in anticoagulation management of patients. Previously Ms. Wirth was employed at Grady Memorial Hospital (2010-2013) where she managed the department of cardiology and anticoagulation clinic as well as provided clinical support to the department. 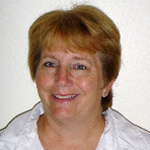 Ms. Wirth was the managing NP in establishing the heart failure program which was awarded the GAGE award in May of 2013. Ms. Wirth spent the first 17 years of her career at Emory Healthcare, the last 8 years in which she managed the 8 anticoagulation clinics with 3000+patients and established a large virtual clinic with over 300 patients trained to self test their INR’s at home. Ms. Wirth received her Master’s in Science/NP degree from Emory University and is credentialed as an adult nurse practitioner through American Nurse Credentialing Center. Ms. Wirth was appointed to the Anticoagulation Board of Directors in 2013 and is a certified anticoagulation provider (CACP). She serves as the treasurer on the Board of Directors of the National Certification Board for Anticoagulation Providers. Ms. Wirth has worked as a team member in a joint venture between CDC and the National Blood Clot Alliance to develop educational curriculum for thrombosis and atrial fibrillation. Ms. Wirth is a patient education provider/trainer for Alere Home Monitoring and has trained hundreds of patients to self test INR’s in their home. Ms. Wirth has published articles on genetic mutations while at Emory Healthcare and reductions of CHF readmissions. Research interests include anticoagulation, patient education and reduction of hospital admissions. She worked with a team of experts to develop on line curriculum, Stop the Clot: What Every Health Care Provider Should Know. Ms. Wirth co-authored a chapter in the third edition text book Managing Oral Anticoagulation Therapy: Clinical and Operational Guidelines. 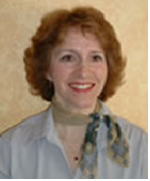 Dr. Witt is a Professor and Chair of the Department of Pharmacotherapy at the University of Utah College of Pharmacy. He received the B.S. degree in pharmacy from the University of Utah and the PharmD degree from the University of Washington. He completed a Clinical Pharmacy Residency at the University of Washington and Harborview Medical Centers, Seattle, WA, and an Advanced Residency in Primary Care and Family Medicine, University of Washington. Dr. Witt has authored or co-authored more than 100 journal articles and 12 book chapters, and has given numerous lectures for continuing education programs. His research interests center on providing practical information regarding the optimal use of anticoagulation therapy to front-line practitioners and patients. He was panel chair for the 2018 Optimal Management of Anticoagulation Guideline chapter and member of the Treatment of Venous Thromboembolism Guideline chapter in the venous thromboembolism guidelines released by the American Society of Hematology. 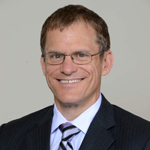 Dr. Witt also serves on the Editorial Board of the journal Pharmacotherapy and is a member of the American College of Clinical Pharmacy, American Society of Health-Systems Pharmacists, and the International Society on Thrombosis and Haemostasis. Click here to register for NBCA’s online curriculum for healthcare professionals.